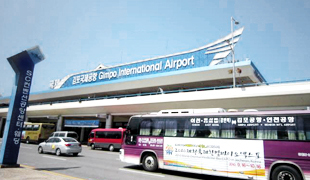 Two international airports Gimpo and Incheon are easily accessible from Seoul. Limousine buses, subways, and airport railways are available for getting to the airports. 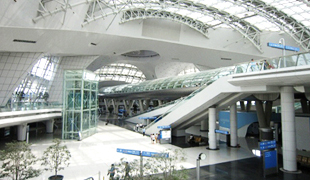 Incheon International Airport meets an airport transport demand from the metropolitan area and plays a role as an airport hub in Northeast Asia in the 21st century. The Passenger Terminal is equipped with 270 check-in counters, 120 passport control desks, and 28 security checkpoints. The airport’s passenger processing capacity is 6,400 people per hour. The Cargo Terminal is equipped with facilities that can accommodate 24 airplanes at once, and has an annual cargo processing capacity of 4.5 million tons. The international lines of Seoul↔Tokyo, Seoul↔ Shanghai are under operation.